Basically, every food contains calories except for water. 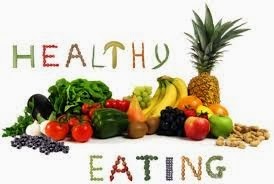 The idea behind calorie counting is to know the calorie contents of most raw and packed foods (most raw natural foods) off the top of your head so that when you are faced with a challenge of figuring out what to eat in a strange place, it won't be difficult to conquer. Because I know I wont want to spoil my workout with an unwanted 500 calorie meal or thing that I have never tasted before or that I didnt know how many calories it contained. That would be just sad.
. Apples- small 101g = 53cals.
. Banana- 1 small 81g = 72cals. 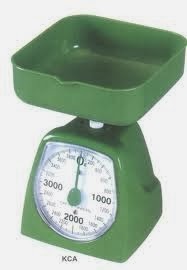 This is exactly the kind of scale i have, just that mine is red. Don't laugh o. Some foods might not be straight forward, for instance a bowl of soup or eba.What I normally do when I want to calculate such is that I calculate the items in the soup separately. E.g: fish/chicken, spoon of oil, vegetables, okro, etc. most time I round them up so that I can assume a worse case scenario. Then if it's eba, I weigh the dry meal on my scale before I cook it. This might look like too much work, but after a while, you won't need to weigh everything because mentally, you can figure out how many calories there are. You see why I mentioned to buy a scale yesterday. See, if you want to lose weight, you have to put in much dedication and drive into it. No half measures. Brace up and do it, watch and see how people will marvel at your new physique later. Brace up and start counting. Madam Cheliz*smiles*..Have been following ur post but work has been crazy..So dis calorie of a thing is serious oo,I can't keep up bcos I don't know what my daily calorie intake should be.. So how do I figure dat out? 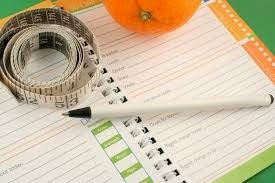 Hi Hellen, go to www.myfitnesspal.com they have an app that can help you with that. how have you been? cheers.